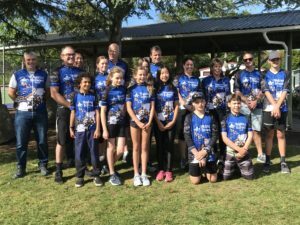 Congratulations to the cycle team who this year despite the awful weather conditions, completed the Lake Taupo Cycle Challenge, competed in the mountain bike race and managed to bring home the Schools Challenge trophy! The team was made up of Mr Irvine, year 7&8 students and their parents Evie Alexander, Grayce Brothers, Reilly Irvine, Cian O’Brien, Bojan Paladin, Honoka Seino, Thomas Steen, Anneke Tinsel, Caleb Waller, Mrs Taylor and Mrs Howard. This is a wonderful achievement. Special shout out to Thomas Steen who came 10th in the under 17s race!! This is an amazing achievement for everyone. Having participated myself, it is a race that takes training, perseverance, resilience and determination to complete. Well done everyone, we are very proud of you. Congratulations Tui Team – On a wonderful Show “A Big Green Adventure“!! This show took just 5 weeks in total to put together. Five weeks for the core cast to practice and 3 weeks for the team to ensure everyone was involved and had a part, not an easy feat when you have 90 children to cast and practice with. 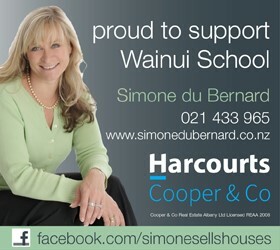 Shows and performances are very much a part of the school curriculum at Wainui School. It’s tremendous to build confidence, give it a go and for many children realise they can speak in front of a large group, be creative and learn lines. We were not only well entertained but given a few messages to further think about in regards to recycling and the way we live!! This show integrated perfectly into the themes and context the students are participating in this year. Well done everyone!! Congratulations to the students who had major parts to learn; special congratulations to Phoebe Walker and Charlotte Robinson for this, as adults we are always in awe of you remembering so many lines!! Garden to Table Awards – At assembly last Friday, Becks Kelleher and Belinda Abenethy from Turners and Growers presented Wainui School with the prizes and trophy for winning the best emerging school!! We are all very proud of this award which came as a result of the drive and determination of Miss Stevenson. Big congratulations as this was out of 130 schools across the country. The prizes ranged from a hose and reel, nectarine tree, a consultation with Garden Designer Dan MacKay, a voucher for Tui products, a box of apples (one per child), gardening gloves (one per child), a plaque for the tree, a framed certificate and a wonderful trophy in the form of a lettuce. Here is the link to their website there is even an area to purchase gifts. Music Performance Wednesday 28th November at 9.30am – This is our final performance of all the music groups. We have our itinerant music teachers pupils with the kapa haka, and the Kids for Kids all performing. This will be followed by morning tea. Netball in Paradise – Katie McLiver, Jade and Shakya Manarangi-Clough, Selina and Lily Glasgow, Kasidy McCallion and Abby Wenzlick leave on Thursday to participate in a netball tournament “Netball in Paradise“ in Rarotonga. 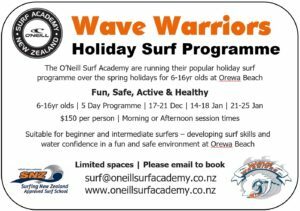 This is a first for our school to have students compete under the umbrella of Wainui School overseas – a very exciting opportunity. The team have raised a fair proportion of the funds themselves and are of course excited to be representing Wainui overseas. This could be the first of more overseas opportunities. Have a great time, we look forward to hearing of your adventures. Masterchef Finals – This Wednesday 28th November is the day we have junior finalists making a toastie and seniors cooking a burger. I am sure both will be gourmet! The judges include year 11 student Jackson Robinson who began our Masterchef competition as a Student Councillor. Jackson has gone on to college and excelled in the area of food tech, winning awards at college. 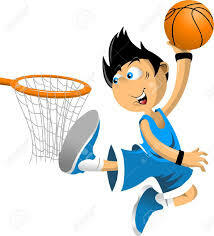 Year 5&6 Interschool Athletics – These are being held today, Tuesday 27th November. Miss Goodyer is there with our team, we wish you all well. Senior Athletics Prizegiving Yrs 5-8 – This will follow the Takahe Assembly on Friday 7th December. We will acknowledge both school and interschool achievements and award the House Trophy. All the dates are set for the end of the year, we are all busy practicing for Christmas in the Country, finalising prizegiving awards but, still keeping our core subjects going. Our last day is Monday 17th December, we know this is strange but we have to complete a set number of days in the year. We will finish at 1pm, buses will be running at that time. Wainui Comets (Year 3/4) vs Greenhithe Mystics. Won: 13 – 2. Sportsmanship: Te Ruawai Bayer and Milla Glasgow. Wainui Rockets (Year 5) vs Hobsonville Rock Stars. Won: 7 – 6. Wainui Heat (Yr 6 Boys) vs Stella Maris. Won: 14 – 10. POD: Regan Lowe. At the last assembly, the following students received certificates for “Resilient”. Kauri: Cameron Goodger, Rita Straka. Writing: Charlie Wallace-Pram. Kahikatea: Alyssa Gorshkova, Ethan McBride. Writing: Molly Taylor. Rimu: Pearle-Lake Cameron, Maddy O’Neil. Writing: Boston Jones. Matai: Imogen Germain, Reghan Portig. Writing: Morgan Keller. Totara: Talia Minton, Marley Straka. Writing: Ella Newman. Nikau: Harrison Andrew, Lily Haswell. Writing: Joseph Matthews. Kowhai: Tamati Bayer, Katelyn Burgess. Writing: Zahara Patterson. Kohekohe: Dieter Bezuidenhout, Madie Gooding. Writing: Quinn Richardson. Pukatea: Travis Dunning, Sterling Purdie. Writing: Hunter Hadley. Rata: Leo Banton, Tripp Glasgow. Writing: Lara Ibbett. Karaka: Kobi Cooke, Hunter Stevenson. Writing: Arno Potgieter. Puriri Rua: Shannon McBride, Archer Olliff. 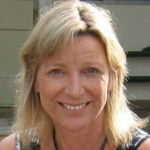 Writing: Georgina Coupe. Puriri: Sophia Holder, Jack Stephenson. Writing: Leo Peters. Our amazing Hellyer Cup Winners were Taylah Hadley (Puriri), Leo Sawyer (Puriri Rua), Mackenzie King (Karaka), Nina Keller (Rata) and Charlize Taylor (Pukatea). Tuesday 27th November – Yr 5/6 Interschool Athletics. Tuesday 27th November – BOT Meeting – 6.30pm. Wednesday 28th November – Music Performance – 9.30am. Friday 30th November – Tu Maia Festival. Thursday 6th December – Christmas in the Country. Friday 7th December – Takahe Assembly – 9.15am. Monday 10th December – Year 8 Graduation. Wednesday 12th December – Prizegiving Years 3 – 8 – 1.30pm. Wednesday 12th December – Pukeko Team Show – 5.30pm. Thursday 13th December – Wai Day. Friday 14th December – Farewell Assembly – 1.30pm. Monday 17th December – Last Day of the Year – Finish at 1.00pm. Click Silverdale 2018 KC – HP December – A4 Timetable for Kelly Club’s Summer Holiday Programme for December. Click Silverdale 2019 KC – HP January – A4 Timetable for Kelly Club’s Summer Holiday Programme for January.